Health Costs > How Much Does a PET Scan Cost? 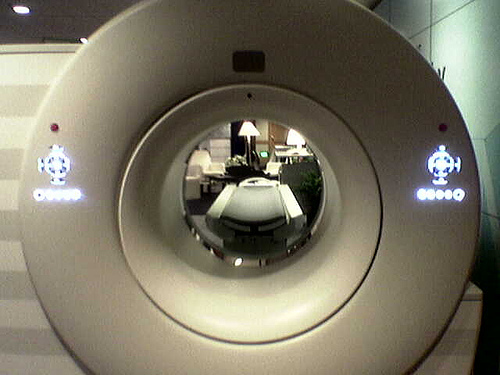 A PET scan, also known as a positron emission tomography, is a nuclear medicine technique that can produce detailed 3D images. This test will detect radiation from the emission of positrons, which are smaller particles that are emitted from the radioactive material the scan emits. With this test, it will help reveal how the tissues are organs are functioning inside your body. This type of scan is often preferable because it can show how the tissues and organs are working rather than just showing them, and most physicians will recommend this scan for the brain, breasts, lungs and/or heart if they suspect cancer or another disease. On average, the cost of a PET scan can be anywhere from $1,500 to as much as $9,500 without health insurance. The cost will depend on which facility you use and where you live. For example, a whole body scan could cost about $4,500, while a PET scan of the brain and heart could cost closer to $7,000. For those who have health insurance, most policies will cover a scan such as this one as long as it is medically necessary. Since each health insurance policy differs, it is important to talk with the health insurance company to find out what is covered. According to some reports online, it appears Medicare will pay for one PET scan per year. ChoosingWisely.org says the average scan can cost $7,000 or more, and this price won’t include the added tests and procedures done ahead of time due to false alarms. According to ComparePETScanCost.com, the average cost can be $3,000 to $6,000, depending on the technical fees, professional fees and FDG radiopharmaceutical fees. Before the procedure begins, a small amount of radioactive material will be injected into the patient, and the patient will be asked to wait for up to an hour to allow the chemical to be absorbed. After this hour is up, the patient will then enter a scanning machine and will be asked to stand still for up to 30 minutes as the images of the organs are taken. With these results, a radiologist will be able to review the results in a few days and give them to the providing doctor. Plan on staying at the facility for about three hours. This scan will be able to reveal the exact shape, size, position and the function of the organs inside the body. With this test, it helps the doctors diagnose disorders, cancers, and if cancer is present, how far it has spread throughout the body. An initial office exam will be necessary to discuss your options. Due to the higher price of the tests, the doctor will want to ensure that the patient can benefit from the procedure. Additional fees such as technical and professional fees may be on top of the scan fee. This will vary from hospital to hospital. Due to the complexity of this test, cancellation fees can cost upwards of $500 if not canceled more than 24 hours in advance. After the test has been completed, the doctor will receive a report. This may result in a follow-up visit to discuss them. Copies of CD and films may be an additional cost. This is going to greatly depend on the doctor’s office policy. According to XRANM, before the procedure, a doctor will ask that you don’t eat or drink for six hours prior to the injection time and avoid exercise on the day of the exam. The last meal before your test should be high in protein and low in carbohydrates. The risks of a PET scan are very minimal. The amount of radiation will be low, and according to petscaninfo.com, the radiopharmaceutical decays quickly, leaving no detectable radioactivity after hours. It is very important to talk with various hospitals as all their quotes are going to greatly vary. You may find that doing some research can save you up to $3,000. Comparison sites such as NewChoiceHealth.com can help find the best quote. If uninsured, talk with the hospital to see if you can get a cash discount. If the balance is placed on a credit card or paid in cash, many hospitals are more than willing to offer a discount of up to 40%. Too expensive even with insurance.